Rafe Foreman is the Douglas R. Stripp Dean’s Distinguished Professorship of Law and Director of Advocacy at UMKC School of Law. His passion, however, is not for honors or titles. Foreman’s dedication to the field of advocacy is fed by a passion to give those without a voice the tools and platform that they need. This dedication led to a $1.4 million gift from the Kemper Family Foundations to expand the Advocacy Program’s reach for UMKC, its students and beyond. Foreman is confident that even those who feel they do not have a gift for advocacy or see themselves as litigators benefit from the advocacy program. As the director of advocacy and the coach of the Trial Advocacy teams, he sees students with varying backgrounds and a wide spectrum of skills. 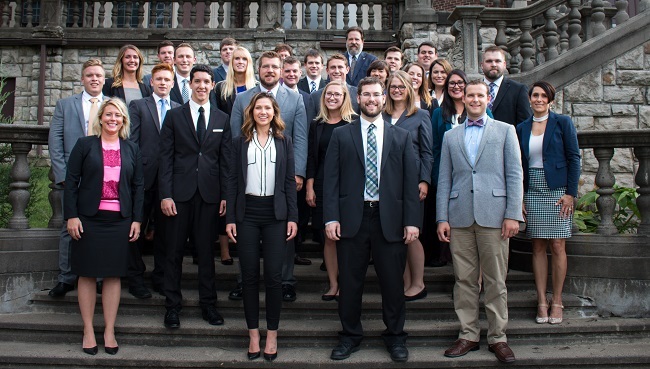 The law school encourages first year students to compete in 1L Last Team Standing, a competition that allows first year law students to try a case. Foreman teaches his students to focus. He encourages them to stop comparing themselves to others but instead to concentrate on being an advocate for the position at hand. Donor Bebe Kemper caught Foreman’s fever. Her father, Douglas Stripp, for whom the professorship and chair are named, was a clerk for U.S. Supreme Court Justice Charles Evan Whittaker. Stripp mentored young attorneys in trial advocacy. Kemper attended Foreman’s class and liked what she saw. The Kemper Family Foundations’ $1.4 million gift has enabled the law school to increase the Stripp Endowed Professorship from an endowment to a chair and provide two Advocacy Fellows each year for five years. Broader recognition preceded the Kempers’ gift. The Advocacy Program was ranked 12th by American National Jurist Magazine and most recently ranked 21st by U.S. News and World Report.